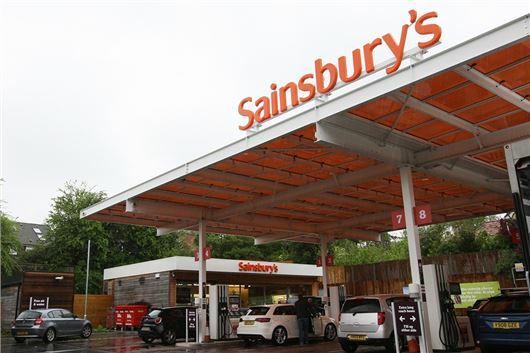 Sainsbury's is cutting the price of unleaded petrol and diesel by 2 pence per litre from tomorrow - the 25th of November. It applies to all of Sainsbury's 311 petrol forecourts and is a welcome drop with fuel prices close to a three-year high - the average UK price of unleaded this week is 120.1 pence with diesel at 123.1 pence. You will also be able to collect Nectar points, with one point for every litre purchased. "This is a Black Friday bonus for our customers and great news as people are trying to balance their budgets in the run up to Christmas," said Izzy Hexter, Sainsbury’s Fuel Buying Manager. That's not the whole story - I've been keeping an eye on the Petrol Prices website and the prices on the forecourts, especially at Sainsbury's, have, at least in my part of country been rising over the past few weeks, even compared to other supermarkets. They were, in a cheap area (normally due to more competition - about 10 or so filling stations within 10mins drive) about 15 miles from my home town, about 3-4p a litre cheaper, now exactly the same price as the Tescos in my town, which only has two filling stations - Tesco and an Esso station 100yds away, plus 3 very expensive ones on major A roads that only the gullable and desperate traveller (not locals) use (as they are about 5-7p a litre more expensive. All this 'reduction' is, in my view, is a cynical ploy, like 'Black Friday' is (for the most part) for shopping, to get people in the stores, particularly as they are desperately trying not to lose out on huge amounts of custom to the likes of Amazon & co around the time of 'Black Friday' - I remember this day & weekend last year, and my local Tesco was almost empty, despite many 'offers' in store (not just the food section). Anyone also notice (for Sainsbury's shoppers with Nectar cards) that this week they sent out loads of spend £20 (or whatever), get 6p/ltr off the fuel? Pity it costs me twice as much to get to the nearest store than I'd save buying a full tank of fuel, compared to filling up (when I actually needed to) at my local Tesco (not that I am a 'Tesco' person or am trying to plug them - I actually do most of my grocery shopping at Morrisons). Sainsburys in Carlisle only dropped by 1p, not 2p! Traveling around and covering some miles recently due to family issues, I have noticed that there is little ryme or reason behind fuel pricing. Just tend to try and buy the best quality fuel at the best price I can find as and when I need it... gone are the days when I drive any distance out of my way to get the cheapest fuel.